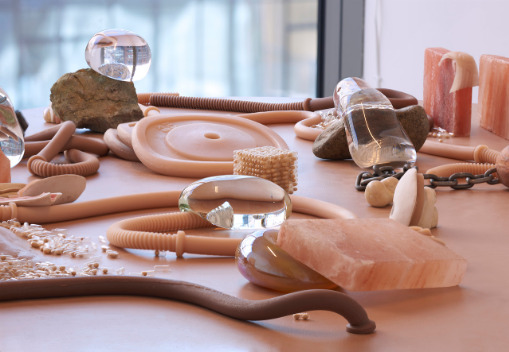 Jes Fan’s studio practice investigates the materiality of the gendered and racialized body. 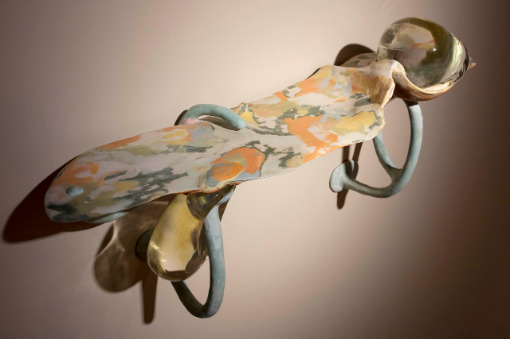 In his sculptures, he uses these materials to speculate the intersections between biology and identity, in order to locate the edges in which bodies become othered. While at Bemis, Fan will continue to explore his series of Diagram sculptures. 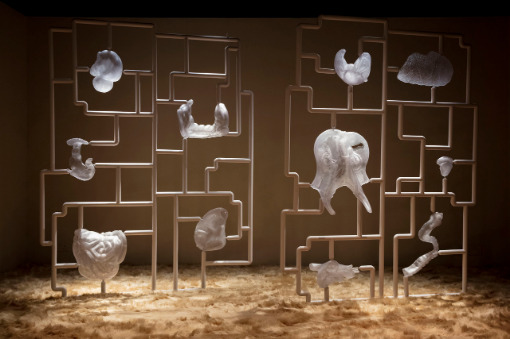 Inspired by clinical drawings of melanin in our dermal layers, the sculptures are an abstraction of the epidermis, sutured by vein-like clay supports, oozing gem-like glass globules. Fan will also experiment with how to use melanin as a glass coating, meshing melanin into clay bodies.